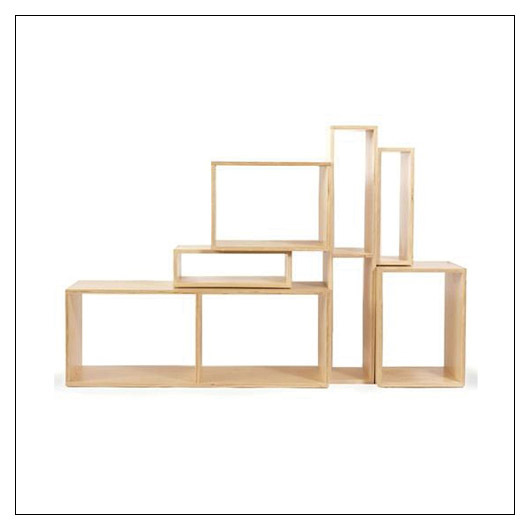 Mix Boxes - Set of 6 (TUCMIXBOX) at Pure Design / Tables and Desks / Workspace ::: Furniture for the Home, Office, Home Office, and More at Pure Design Online! A set of six birch boxes that are perfect for anything you might want to store and/or display! The Mix Boxes allow for spontaneity and encourage creativity. Built to last, but not without elegance and fluidity. Birch veneer with super-strong dove tail joints. 1 Large Box: 38" x 15.5" x 14", 2 Medium Boxes: 17.25" x 14.25" x 12.5", 2 Small Boxes: 17.25" x 10.5" x 5.5", 1 Long Box: 38" x 12" x 7"
Please allow an additional three weeks to ship. Sorry, this product is not available until Early 2019. Please call 800-483-5643 if you would like to pre-order this item.